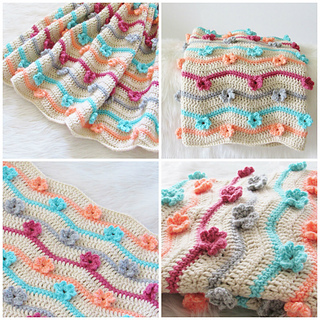 The flowers on this Crochet Afghan are part of the rows and NOT worked separately. So you can safely make it for you babies without worrying about choking hazard. I am sure you will find this flower stitch very interesting. This pattern is perfect for spring, don’t you think? There is also a video tutorial included in the blog post for visual learners.